I was vetoed by my girlfriend the other day to go see my movie of choice, Ant Man, for the new Disney Pixar film, Inside Out. As a huge fan of animation and Pixar in general my reluctancy was minimal and I my anticipation grew to relive my childhood glory days filled with inspirational films like Toy Story, Monsters Inc. and Finding Nemo. 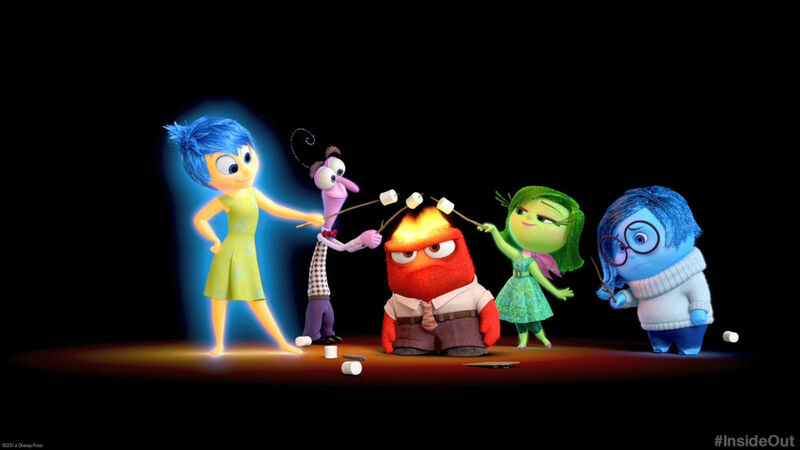 Inside Out features the story of a young girl during a traumatic move from small town life in Minnesota to the big city (San Francisco) and told through the personification of her emotions i.e. anger, joy, sadness, disgust, and fear. It is the first film I've seen for kids that addresses the topic of depression and handles it brilliantly using the emotions to display the main characters reaction to the world and events happening and changing around her as well as dabbling in explaining how our long term and short term memory work. From an artists standpoint the film was magnificent. And not just for the dazzling display of effects we have all grown to love from Disney and Pixar, but for one scene in particular that crosses into an experimental territory for Pixar that I loved. As the characters head through the imagination section of the brain, their bodies are contorted to the different stages of abstract thought such as 2 dimensional and non figurative. Eventually the characters simply become lines running along the plain, a hilarious nod to artists and abstract theory. While in my opinion Inside Out dragged on a bit, overall I'd give it an A rating and a must see, especially for those interested in the workings of the mind and those looking for a lead in to the conversation of depression, especially with children.